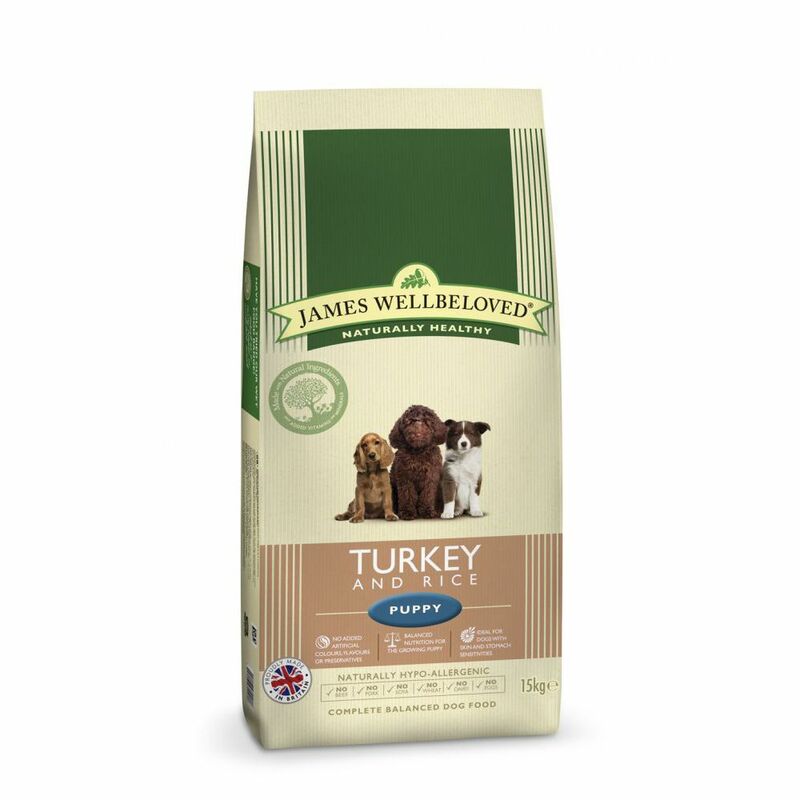 James wellbeloved puppy turkey rice is the number one scrumptious meal for your young dog. The naturally formulated food is specifically targeted to enrich and provide your puppy with all of the right nutrients. James wellbeloved kibble puppy also provides help with loose bowels and soothes itchy skin and coats.